Does Your Landscape Provider CARE? Here’s a litmus test that will help you judge whether a landscape management firm is a trusted partner. At Schill we call it the C.A.R.E. commitment. It stands for Consistency, Accessibility, Reliability and Expertise. When a landscape firm “CARE”s, you have a relationship with the professionals serving your property and they are available 24/7/365. The grounds management provider is your go-to during all four seasons, including: landscape maintenance, snow and ice management, seasonal enhancements, and design and installation to increase your property’s value. When the same grounds management provider carries you through the seasons, you grow a relationship with the Client Care Specialist and Operations Manager overseeing your property’s care. 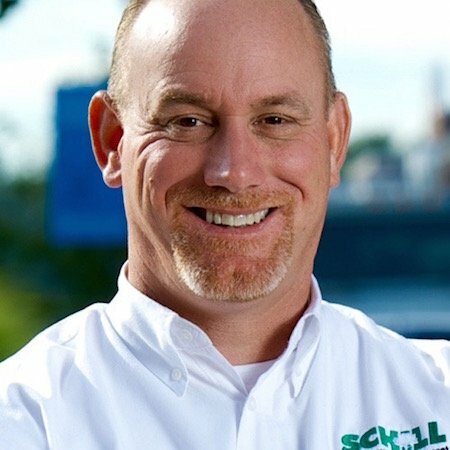 At Schill, our longtime team members have been serving the same accounts for years, so they truly get to know the ins and outs of those properties. If a landscape company has lots of turnover, you’ll see new faces on your grounds all of the time—and those people will need re-educating to get up to speed on your needs. Consistency becomes a problem, and that impacts quality. Does your landscape provider mow and go? Do you ever see the crew, or do they get in and out quickly and without contacting you? If so, this is a real disservice to your property. You want a professional that checks in with you every time the grounds management team is on site so you have an opportunity to ask questions and make requests. There should be constant check-ins to see how the property is progressing based on a customized plan of seasonal commercial landscaping and snow removal service. Do you have a tough time tracking down your landscape company when you need something? Are you constantly playing phone tag—and do you struggle to get a callback? At Schill, we embrace technology as a way for our clients to keep in constant touch with our team. All of our staff is tethered to mobile technology. Email, text, voice—we find out how clients want to be contacted and use the preferred method of communication. Your grounds management provider should conduct weekly or monthly service consultations so you can ensure that your landscaping and snow removal needs are met. Find out what type of technology and communications the company uses to monitor quality and service. Because the reality is, you will have concerns that arise on your property. You want to know how the grounds management provider will manage issues in a timely, effective manner. At Schill, our digital service help desk gives clients a way to check in around the clock, place and monitor service requests. All issues are logged into a database that is managed real-time by managers and teams in the field. If an issue cannot be resolved by sundown, there’s a plan in place. How does the grounds management provider rank in the state and nationally for service, professionalism and expertise? What exactly is the company’s track record for success? There are certain certifications your landscaper should have before you consider hiring them. Certification indicates a company’s commitment to professionalism. It means the grounds management provider is meeting stringent safety standards and adhering to best practices. For example, Schill is certified by the Accredited Snow Contractors Association (ASCA), which supports the ANSI Approved American National Standards for the snow and ice management industry. We hold ISO 9001 certification through the International Organization for Standardization. We are one of two snow removal companies in Ohio with an ISO certification, and one of 22 in North America. And, we are a Certified Snow Professional (CSP), which recognizes business owners and executives who complete the Snow & Ice Management Association (SIMA) certification. Your landscape is the “front door” of your business, retail establishment or HOA. The quality of your property counts! 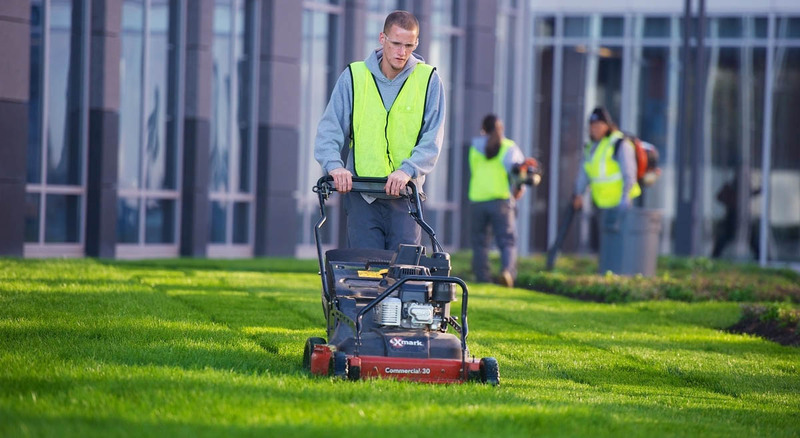 When hiring a grounds management provider, find out if they truly CARE about your property and provide consistency, accessibility, reliability and expertise. Let’s talk more about what questions to ask before hiring your next commercial landscaper or snow removal provider. Download our free guide and find out everything you need to know about hiring the best grounds management provider for snow and landscaping. As always, contact us any time at 440.327.3030, or fill out this simple contact form and we’ll get in touch with you.